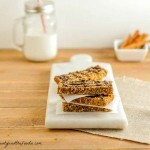 Grain free, easy to make, low carb granola bars that are simple to make and bake. 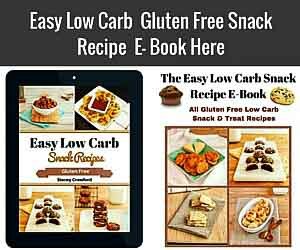 Easy Low Carb Granola Bars are a grain free, high protein, satisfying nutty snack. 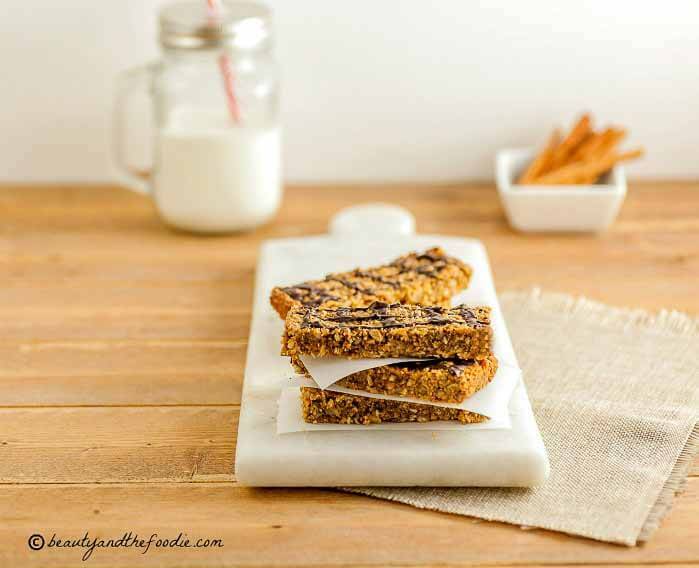 These are easy to make, chewy, baked granola bars that are grain free with a paleo option. Great for on the go snacking and between meal cravings. Simply blend or pulse ingredients in a processor or blender, spread in a pan and bake. 3 ½ tbsp sweetener of choice: use erythritol sweetener (Swerve) for low carb, or for paleo use coconut sugar. Preheat oven to 350 F, and grease or oil a 8 x 4 inch loaf pan. Place all granola bar ingredients into a food processor and pulse until mixed, but still with some nuts in small chunks. Spoon and spread mixture in prepared pan. Press and flatten mixture in pan with the back of a spoon. Bake 15 minutes or until golden. Remove from oven and let cool for 12 minutes or more until firm. Drizzle with optional melted chocolate and let chocolate dry. Cut into bars going across the width of loaf pan and serve. 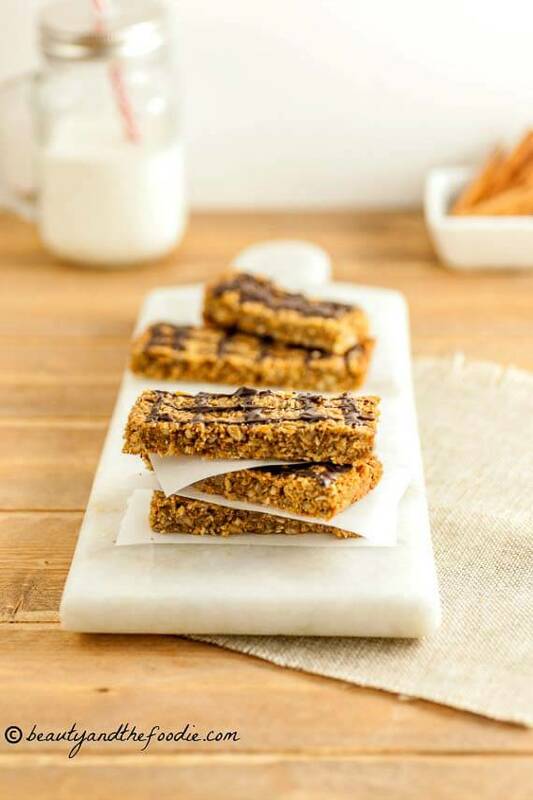 Nutritional Data for Low Carb Version (using Swerve sweetener): Servings: 7 bars, Serving size: 1 bar, Cal: 151, Carbs: 7.5 g, Net Carbs: 4.5 g, Fiber: 3 g, Protein: 5 g, Fat: 12 g, Sugars: 3 g, Sodium: 94 mg.
Nutritional Data for Paleo Version (using coconut sugar): Servings: 7 bars, Serving size; 1 bar, Cal: 171, Carbs: 13 g, Net carbs: 10 g, Fiber: 3 g, Protein: 5 g, Fat: 12 g, Sugars: 8 g, Sodium; 94 mg.
3½ tbsp sweetener of choice: use erythritol sweetener for low carb or other low carb granular sweetener equivalent or for paleo use coconut sugar. Preheat oven to 350 F, and grease or oil an 8x4 inch loaf pan. Cut into bars by slicing across the width of the loaf pan and serve. Data below is for low carb version. 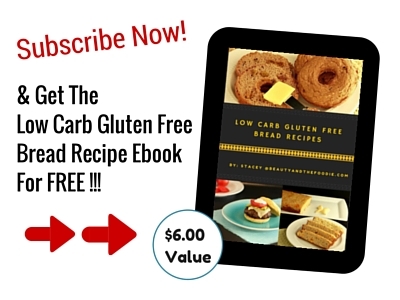 Paleo nutritional data is above recipe card. Made them today…so good I didn’t want to stop eating them. Thank you for the great recipe! Thank you, Miss W, for trying the recipe and for your very kind words. VERY VERY YUMMI, I used peanut butter, used honey instead molasses and didn’t use any sweeteners and the outcome is just DELICIOUS. Thank you for the great treats. My only concern is that they are very addictive 🤣. Thank you, Bernd, so much for giving these a try and sharing your results! Well, despite the word “easy” being right in the title, I managed to mess these up! I followed the recipe exactly, but my batter was very dark brown, like chocolate. I kept checking to make sure the recipe said a tablespoon of molasses and not a teaspoon thinking I’d used way too much, but I didn’t. They taste okay. I’ll add more sweetener next time and probably use peanut butter instead of almond butter because they are suuuuper almondy (which is okay for me, but I’m trying to get my kids to eat them).I didn’t add any topping, and I used a stevia-erythritol blend (Pyure) for my sweetener. I’ll have to try again sometime because I do like the chewy texture! Hi Jill, The almond butter version is much darker in color than the peanut butter or sunbutter version. You can adjust the sweetener to however you like it, just do a little taste test before adding more. Wow! These are delish. Ty. Hi Laurie, thank you for trying the recipe and taking the time to leave a nice comment. Do you know if these freeze well? Or how do I store them? I have not put them in the freezer, but I have stored them in the fridge for a few days (5 days). What can be substituted for the molasses? Silva, I have heard of people using honey or maple syrup to sub for molasses. 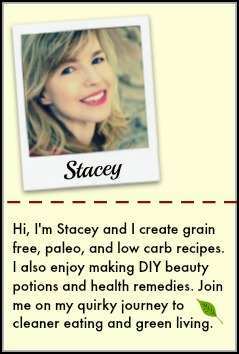 Stacey, I love your LARGE sélection of yummy low carb, gluten free and grain free recipes. I’m thinking of printing many of them and binding them for easy access…Or, even better, would your book be availablr to purchase on Amazon ? Hi Mimi,Thank you for the kind words. I am thinking of making my next book on Amazon and possibly remaking my current book on Amazon kindle. But it will be awhile, as I am currently learning the process of creation for Amazon. These look great and I would love to make them for an upcoming hiking weekend – are they quite robust and can travel well? Your recipes are so great. Joanna, thank you so much for your kind words Yes they are very robust and filling and they travel well too. 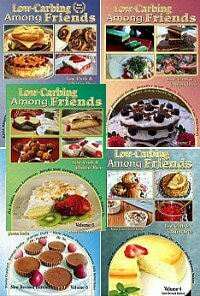 These look great, but shouldn’t the net carbs be 4.5 since the total carb is 7.5 and the fiber is 3? Looks so yum! Do you think a date would work place of the sweetener? I think dates would work great in there in place of the coconut sugar.